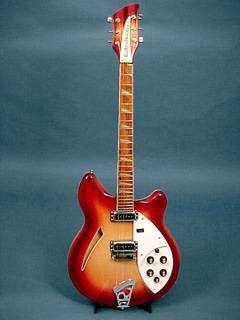 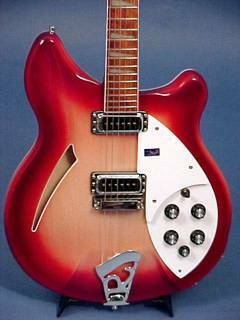 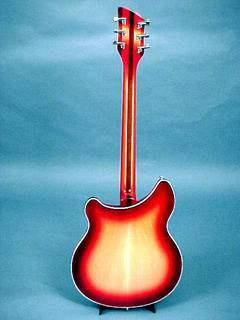 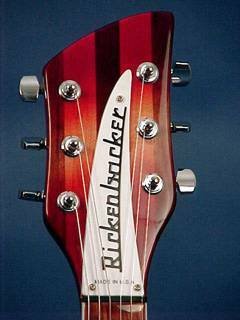 Rickenbacker® Model 360 "New Style"
The model 360 new body style was introduced in 1964. 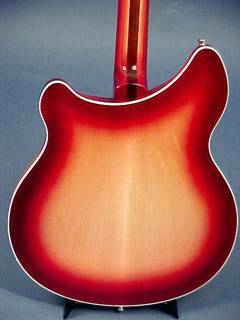 The company achieved the new shape by rounding the top edge on the face of the guitar´s body. 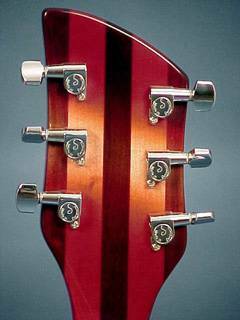 This new design didn´t allow for binding on the top front edge of the guitar. 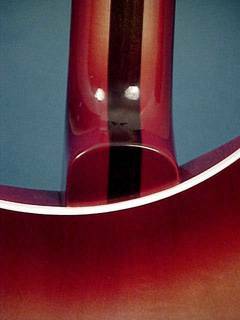 However, a bound crescent soundhole became standard. 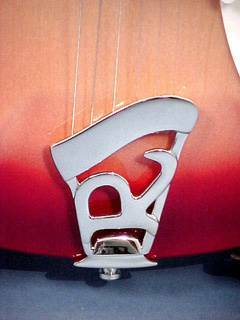 This guitar has Deluxe features.